Keeping our region’s streams and waterways healthy and productive is always a high priority. When a stream is not properly cared for, this not only effects the stream but also alters the entire surrounding ecosystem. 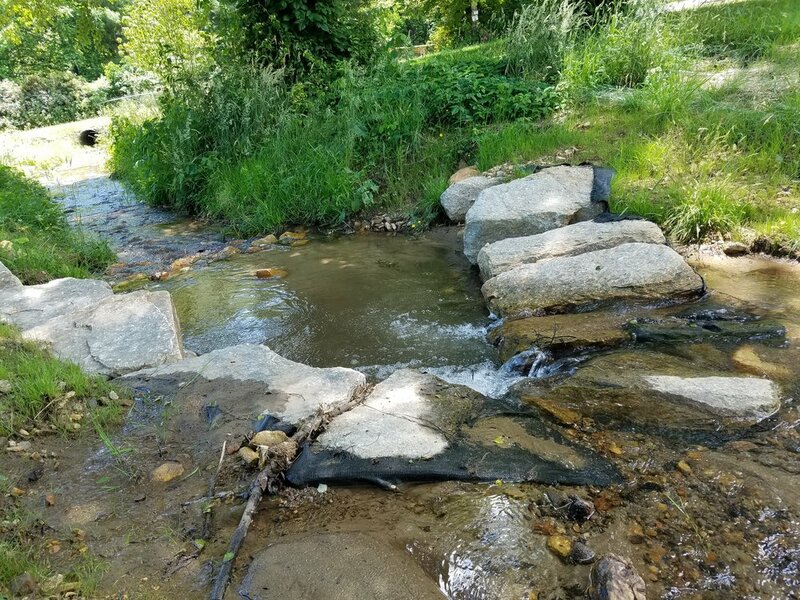 In 2017, a proposition was made by the Town of Waynesville to restore an unnamed tributary of Shelton Branch located in a small community park called Chestnut Park. Before this proposition, the stream was not cared for properly. Mowing took place too far down the stream bank and mulch was being distributed to the edge of the stream. These practices were not healthy for the stream because of the erosional effects that cause sediment build up. When too much sediment is built up in a stream, organisms like benthic macroinvertebrates, fish, and amphibians cannot live there. Once the Town of Waynesville made this proposition, various organizations came together to get the stream restoration project underway. Southwestern NC RC&D Council, Haywood Waterways, Haywood Soil and Water Conservation District, and the Town of Waynesville’s Public Works Department all pitched in with the help of funds provided by Clean Water Management Trust Fund. First, the stream was cleaned of all mulch and debris then special care techniques were applied such as installing jute and excelsior matting for erosion control, hydroseeding to aid in erosion control, installing natural rock in the stream to create riffles, and vegetation restoration within the stream. Work was also done to preserve the trees surrounding the stream. 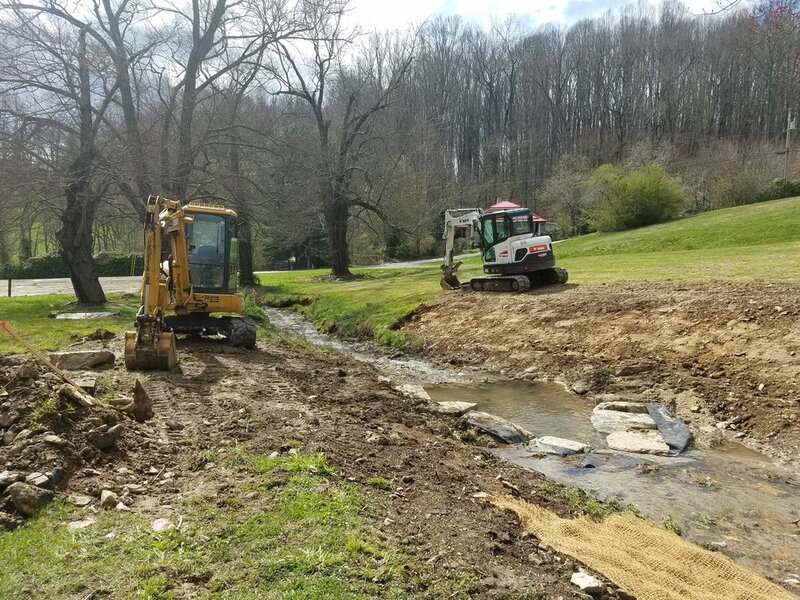 The long-term objective for this stream restoration project is not only to restore the health of a local waterway but to also restore values and unity within the community. The Town’s stream restoration project has two phases, Chestnut Park and East Street Park. Phase two of this project will take place at East Street Park which is also located in Waynesville. The goal for this stream is to create a natural deep stream channel with high banks, due to its high erosion potential. Completion of phase two is projected for 2019.